Yesterday I gave a workshop Dragonfly and Butterfly Photography. Well, it turned out to be a workshop Dragonfly Photography as butterflies had decided to take the day off. 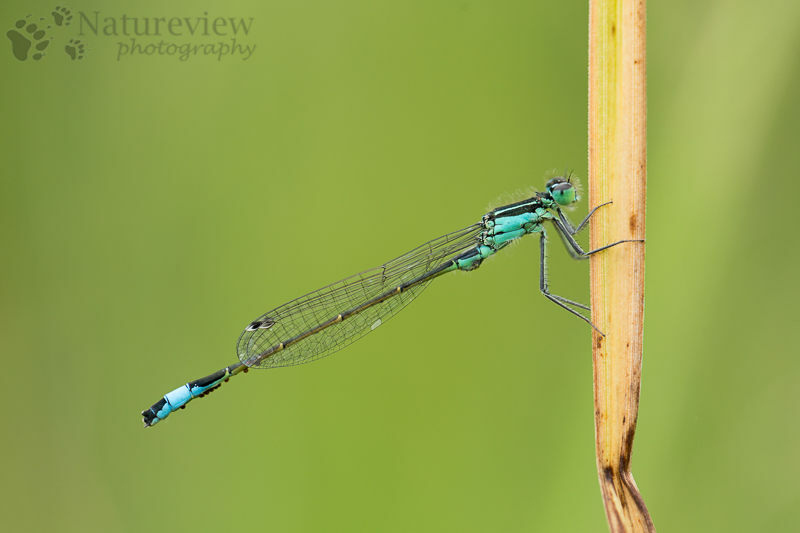 This time I focussed, apart from on different technical skills, on different ways of capturing dragonflies. The first type was the registration photography. This is a very popular kind of photography and is aimed at showing the beauty of the animals up close. Not too many distracting things in the background (so often a large aperture) and the insect in focus from head to toe (well, from the frons in front of the eyes to the last appendages at the abdomen). This is easiest done if you get the dragonfly (or damselfly in this case) parallel to the sensor of your camera. In some cases a registration image also tells a bit of a story. At the underside of the abdomen you can see a few dark ‘things’, they are mites catching a ride from the Common Bluetail. Previous Post Previous post: A pristine wilderness?